Not taking military action isn’t the same thing as doing nothing. Too often in the United States—most especially since 9/11—we equate “doing something” with “doing something military.” George W. Bush gave a traumatized, near-paralyzed US public two options: we either go to war, or we let ‘em get away with it. Faced with that choice, it was hardly surprising that 88 percent or so of people in this country chose war. But the reality is that when there are no military solutions—which is most of the time, for those who care to notice, including on September 12, 2001—the alternative is not nothing, but active non-military engagement. Diplomacy becomes even more important. 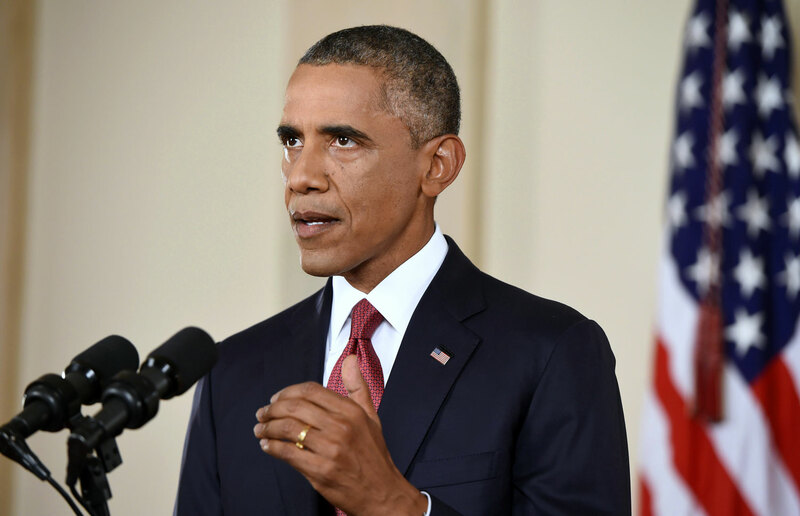 President Obama has said it over and over again: there is no US military solution in Iraq or Syria. He’s right. And yet military actions—in coalitions, with local partners, counter-terrorism but not counter-insurgency—were pretty much all we heard in his speech last night. Obama’s four-part strategy to “degrade and destroy” ISIS (which he persists in calling ISIL, referencing the Levant, the old French colonial term for Greater Syria or al-Shams) tilts strongly towards the military. First, airstrikes, in Syria as well as Iraq. Second, military support to forces fighting ISIS on the ground, including support to the “moderate” Syrian opposition who challenge ISIS. Third, counter-terrorism strategies to “cut off its funding, improve our intelligence, strengthen our defenses, counter its warped ideology and stem the flow of foreign fighters.” And fourth, the only one not solely or primarily military, humanitarian assistance. What’s missing is a real focus, a real explanation to people in this country and to people and governments in the Middle East and around the world, on just what a political solution to the ISIS crisis would really require and what kind of diplomacy will be needed to get there. President Obama should have spent his fifteen minutes of prime time tonight talking about diplomacy. Instead of a four-part mostly military plan, he should have outlined four key diplomatic moves. First, recognize what it will take to change the political dynamics of sectarianism in Iraq. The new prime minister talks a good line about creating a more inclusive government—but he has yet to choose new ministers to run the military and the intelligence/security agencies. And those are the very forces, for years controlled by sectarian Shia officials accountable to US-backed Prime Minister Nuri al-Maliki, responsible for most of the repression against Sunni Iraqis. That repression wasn’t small stuff, either. We’re talking widespread loss of jobs, attacks on communities, bombings, mass arrests, torture and extra-judicial killings against a huge swath of Sunni Iraqi society. Those are the people now backing ISIS, seeing it as the only force, however extreme and violent, capable and willing to challenge the sectarian government in Baghdad. And every time the United States drops another bomb, many in Iraq see it acting as the air force of the Kurds and the Shia against the Sunnis. What’s needed is real pressure on the new government to reverse those years of anti-Sunni sectarianism. But at the moment, even though the United States pays much of the cost of the Iraqi government and is carrying out airstrikes for the government (and for the Kurds), Washington has less influence in Baghdad these days than Iran. So we need a new partnership—with the United States and Iran joining to push Iraq for a new, inclusive approach to governing. Even though Iran is itself predominantly Shia, Tehran is very worried about growing instability in their next-door neighbor resulting from the years of Shia sectarianism in Baghdad. The US-Iran nuclear talks are moving forward, and this should be the moment to broaden those talks to include discussion of a real “grand bargain” between the United States and Iran that includes all the regional crises. Third, the Obama administration should, perhaps this month while Washington holds the presidency of the UN Security Council, push to restart serious international negotiations on ending the complex set of multi-faceted wars in Syria. Whether or not another UN envoy is appointed to replace Lakhdar Brahimi, who resigned in frustration months ago, negotiations must begin again. Everyone involved, on all sides, needs to be at the table: the Syrian regime; civil society inside Syria including nonviolent activists, women, young people and refugees; the various armed rebels; the Western-backed external opposition; and the regional and global players supporting all sides—the United States, Russia, Iran, Saudi Arabia, the United Arab Emirates, Qatar, Turkey, Jordan and beyond. For the Obama administration, this could also provide a chance to partner with Russia on Syria policy, building on last summer’s successful joint effort to destroy Syria’s chemical weapons, and perhaps lessen tensions over Ukraine. Finally, an arms embargo on all sides should be on the long-term agenda. This obviously isn’t something that will happen right away. But discussion about why it’s necessary could begin tomorrow. The United States has no leverage and no legitimacy in pressing Russia and Iran to end their support for the Assad regime in Damascus as long as Washington and its regional allies continue to arm and train the wide range of anti-Assad rebels. Qatar, Saudi Arabia and others, especially among the gulf states, have no reason to stop arming their various chosen factions as long as the United States ignores its own domestic requirements under the Leahy Law and the Arms Export Control Act to stop arms sales to known human rights violators in foreign militaries. A viable arms embargo will be on all sides or none. And once it’s on the agenda, it becomes a step towards another crucial goal, too often dismissed as impossible: a weapons of mass destruction–free Middle East, with no exceptions. Such a move would begin the process of inspecting and ultimately eliminating Israel’s powerful but unacknowledged nuclear arsenal, would confirm the non-military use of Iran’s nuclear power program and would end the propensity for WMD production in too many countries in the region. And it would be a fitting coda to a hard-fought and likely years-long diplomatic process. That was the speech we should have heard tonight.